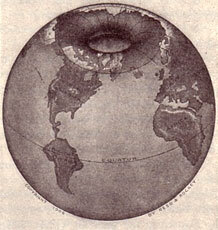 Hollow Earth History and Underground Civilizations - Learning From The Past - Chickensomething What Are You Afraid Of? Kongka La is the low ridge pass in the Himalayas (the blue oval in the map). It is in the disputed India-China border area in Ladakh. In the map the red zone is the disputed area still under Chinese control in the Aksai Chin area. The Chinese held northeastern part is known as Aksai Chin and Indian South West is known as Ladakh. This was where Indian and Chinese army fought major war in 1962. The area is one of the least accessed area in the world and by agreement the two countries do not patrol that part of the border. According to many tourists, Buddhist monks and the local people of Ladakh, Indian Army and Chinese Military maintain the line of control. But there is something much more serious happening in this area. Same kind of stories all over the world. Underground bases human or otherwise are interesting to research into. People have been digging into the earth for thousands of years. Makes one wonder just how extensive the underground structure of the world is. Imagine an underground network of tunnels connecting cities all across the world. 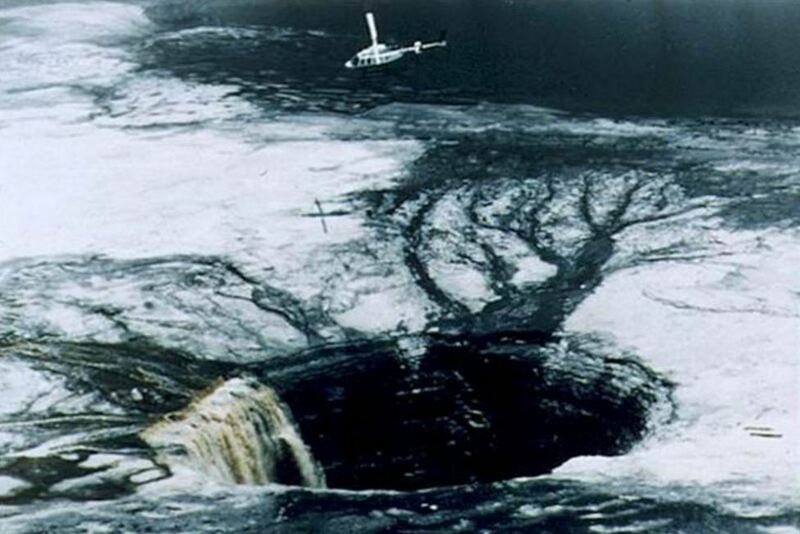 Hollow Earth - Secret Underground Bases"FOR ALIENS"
There's all kinds of legends of catastrophe in history where people had to go underground for safety. Ever been down in a catacomb? According to the Ancient Greeks there were caverns under the surface which were entrances leading to the underworld, some of which were the caverns at Tainaron in Lakonia, at Trozien in Argolis, at Ephya in Thesprotia, at Herakleia in Pontos, and in Ermioni. Countless stories, myths, and legends are told about underground cities and subterranean civilizations spread through a vast network of interconnected tunnels across the planet. There are many rumors surrounding these underground portals. We have only to remember the mysterious stories that revolve around the tunnels and galleries of the Cueva de los Tayos in Ecuador, or stories about entrances to underground worlds, supposedly located in the Andes, the Himalayas, the Gobi Desert, Turkey, and even below the Sphinx of Giza. 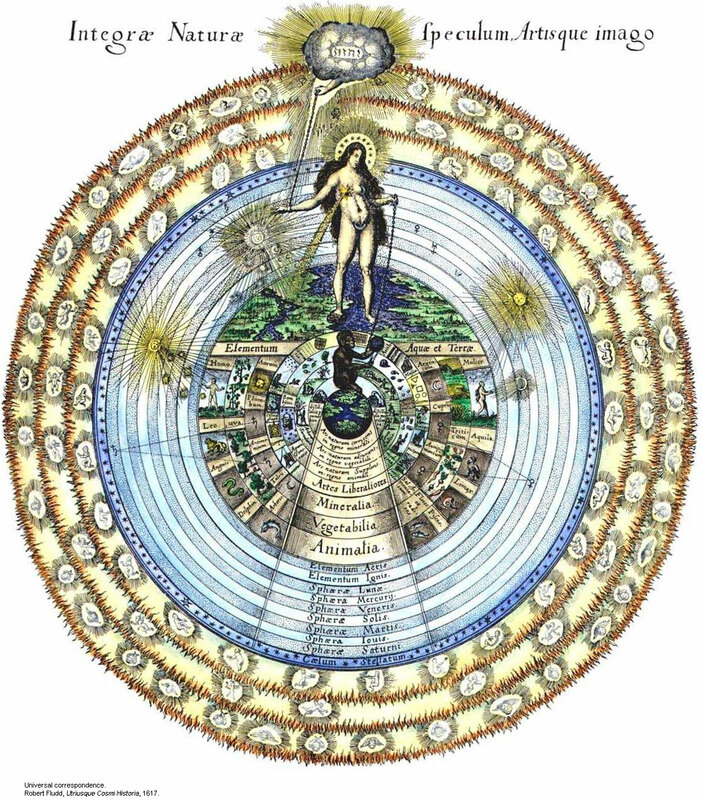 Plato is the opening quote utilized by Emerson, placing God at the center of the earth, and noting a little later, ‘It may be that the true home of Apollo was not at Delphi, but in that older earth-center of which Plato speaks’ (pg. 1) As the ‘Smoky God’ is referring to the electric cloud at the earth’s core that provides illumination and is worshiped as a deity by the inner world inhabitants, Emerson draws parallels for this with real world religion: ‘Ancient Hindoo, Japanese and Chinese writings, as well as the hieroglyphics of the extinct races of the North American continent, all speak of the custom on sun-worshipping, and it is possible […] that the people of the inner world’ migrated to the surface of the Earth, spawning humanity (pg. 6). In 1964, Raymond W. Bernard, an esotericist and leader of the Rosicrucians published The Hollow Earth - The Greatest Geographical Discovery in History Made by Admiral Richard E. Byrd in the Mysterious Land Beyond the Poles - The True Origin of the Flying Saucers. Admiral Richard E. Byrd of the United States Navy flew to the North Pole in 1926 and over the South Pole in 1929. In his diary, he tells of entering the hollow interior of the earth, along with others and traveling 17 miles over mountains, lakes, rivers, green vegetation, and animal life. He tells of seeing tremendous animals --resembling the mammoths of antiquity moving --through the brush. He eventually found cities and a thriving civilization. The external temperature was 74 degress F.
Did Admiral Byrd make a flight to the North Pole in February of 1947? 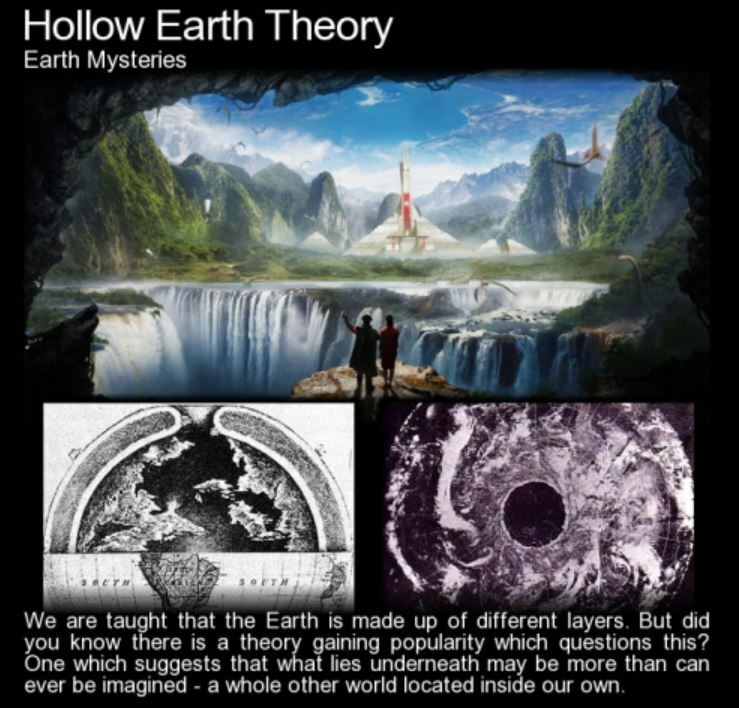 Is the so-called “secret diary” of Admiral Byrd that has been circulating amongst those of us who are interested in the Hollow Earth Theory since the late 70s in fact a true account of that alleged flight? Only those who know the strength of self-deception, and the extent to which it sometimes trenches on dishonesty, are in a condition to explain the conduct of Newton and of Newton’s school. To support his unnatural theory Newton heaps fiction upon fiction, seeking to dazzle where he cannot convince. 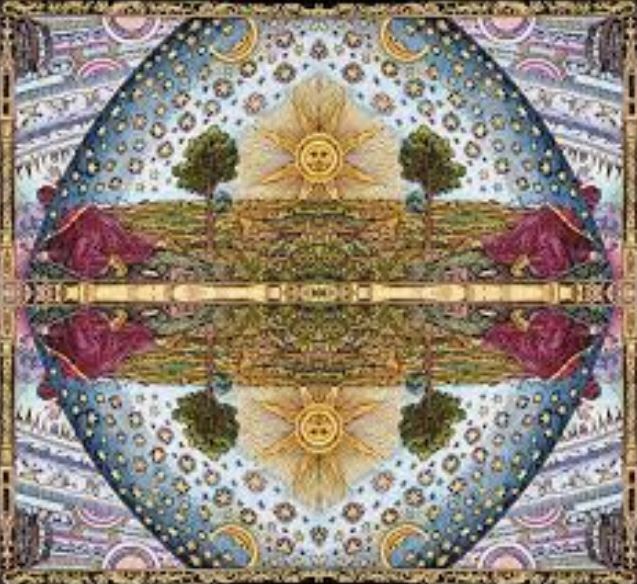 In whatever way or manner may have occurred this business, I must still say that I curse this modern history theory of Cosmology, and hope that perchance there may appear, in due time, some young scientists of genius, who will pick u courage enough to upset this universally disseminated delirium of lunatics. "There is no physical end of the Earth's northern and southern extremities. 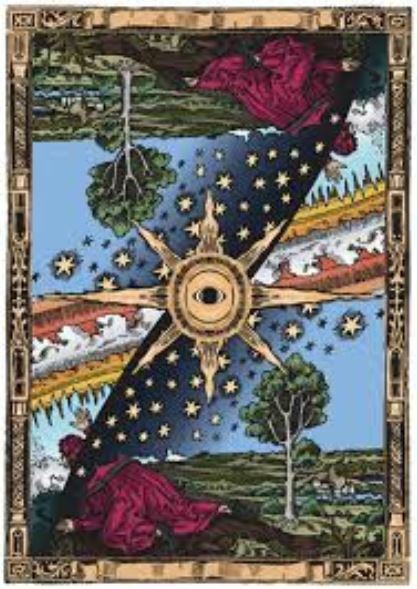 The Earth cannot be circumnavigated north and south within the meaning of the word, `circumnavigate.' However, certain `round the world' flights have contributed to the popular misconception that the Earth has been circumnavigated north and south. "`Over the North Pole,' with return to the North Temperate Zone areas, without turning around, can never be accomplished because there is no northern end of the Earth. The same conditions hold true for the South Pole. "The existence of worlds beyond the Poles has been confirmed by United States Naval exploration during the past thirty years. The confirmation is substantial. The world's eldest explorer, Rear Admiral Richard Evelyn Byrd commanded the government's memorable expedition into that endless land beyond the South Pole. Prior to his departure from San Francisco he delivered the momentous radio announcement, `This is the most important expedition in the history of the world.' The subsequent January 13, 1956 penetration of land beyond the Pole to the extent of 2,300 miles proved that the Admiral had not been exaggerating." Commenting on Giannini's statements about the impossibility of going straight north, over the North Pole and reaching the other side of the world, which would be the case if the Earth was convex, rather than concave, at the Pole, Palmer writes in his magazine, "Flying Saucers:"
"Many of the readers stated that commercial flights continually cross the Pole and fly to the opposite side of the Earth. This is not true, and though the Airline officials themselves, when asked, might say that they do, it is not literally true. They do make navigational maneuvers which automatically eliminate a flight beyond the Pole in a straight line, in every sense. Ask the pilots of these polar flights. And when they come to the exact point, name one trans-polar flight on which you can buy a ticket which actually crosses the North Pole. "Examining the route of flights across the North Polar area we always find that they go around the Pole or to the side of it and never directly across it. This is strange. Surely a flight advertised as passing directly over the North Pole would attract many passengers who would like to have that experience. Yet, strangely, no airline offers such a flight. Their air routes always pass on one side of the Pole. Why? Is it not possible that if they went straight across the Pole, instead of landing on the opposite side of the Earth, the plane would go to that land beyond the Pole, `the center of the Great Unknown', as Admiral Byrd called it?"